Specology: HELP PRESERVE FRANK LLOYD WRIGHT'S LAURENT HOUSE! HELP PRESERVE FRANK LLOYD WRIGHT'S LAURENT HOUSE! 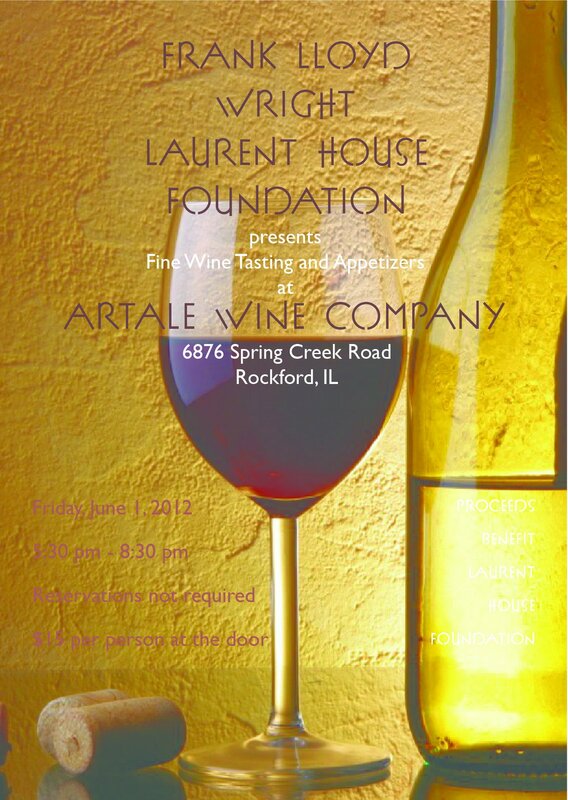 If you're in Rockford, Illinois on June 1, consider attending this event which will benefit the effort to preserve Frank Lloyd Wright's 1949 Laurent house, which was occupied by the Laurent family from it's construction until just recently. The home and it's Wright-designed furnishings are said to be in original condition. I live about a mile from the Laurent house and I've viewed it from the street many times. Help preserve this great work of art in Rockford, and mellow out with a glass of wine.